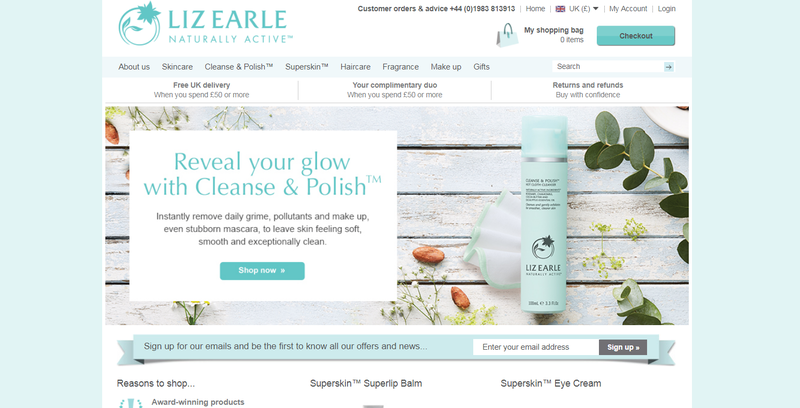 This one is a difficult one to write as there is so much love in the blogger community for the Liz Earle (LE) brand. I found LE on QVC many years ago long before I became aware of blogs. I share the love for her products but did you know that some LE products contain parabens? For example the Intensive Nourshing Treatment contains Methylparaben, Butylparaben, Ethylparaben, Propylparaben and Isobutylparaben. The one good thing about LE is the website does give the option of viewing a full ingredients list for every product. However, you have to ignore the key ingredients and scroll to bottom of page. I know Sheer Skin Tint, Intensive Nourishing Treatment, Brightening Treatment Mask, Daily Eye Repair, Smoothing Line Serum and Eyebright contain parabens. Majority of the range is okay but I feel these few products let the side down. They also contain the preservative Phenoxyethanol an ingredient that some people like to avoid. I know not everyone has the same philosophy about skin care as me. Choosing to use only natural synthetic free products is a personal decision but for me it's the difference between having almost perfect skin and not suffering from eczema. You are probably all sick of me saying this but the best dupe for the LE range is Tropic Pure Plant Skincare. Same price, similar product range and natural ingredients. Click here to see my review of Tropic products. If anyone can recommend a similar mask to the LE one (with zero parabens) then please let me know. Yes I was surprised to learn that some LE products contain parabens but as mentioned the good thing is they are clearly marked on their website. I've never used this one or similar I'm afraid so can't offer advice, I've never had dry skin. I was shocked the first time I realised some LE products conatined parabens. I was always under the impression that everything about the brand was natural.